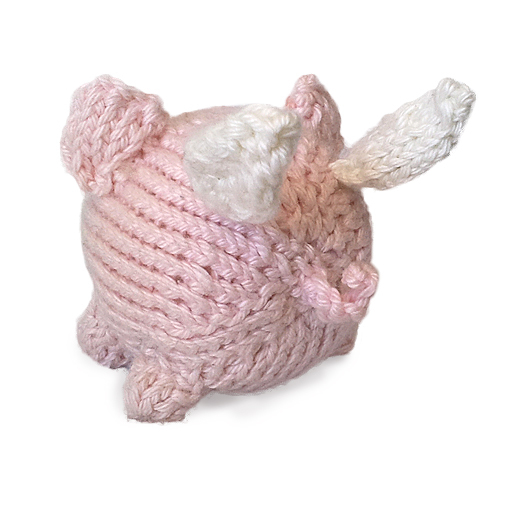 Oink, the flying pig is a free pattern designed by Susan B. Anderson, you can download it for free HERE. This cute piglet has wings attached to its body. It’s optional whether you decide to make it or not, but the clever Hi Bounce Pinky Ball adds a really nice touch! Susan has designed Oink to fit a bouncing ball within the body, so that he bounces when you drop him (yeap he flies!). Of course the ball is also optional — I couldn’t find a bouncing ball when I make mine so I have just stuffed him with the usual fiberfill. Finding how to do whipstitch in YouTube was a little difficult, but with persistence anything is possible 😉 The video below consists of four short clips on joining two materials together, whipstitch is featured on the third one. Face embroidery in this particular project is a little bit tricky since the pig body has been sealed. Here is a helpful video teaching you how to secure your yarn properly so that the thread is invisible to the naked eye. That is it! Hopefully this blog has helped cleared some of your questions with knitting this pattern. (DPN) double pointed needles, baby toys, cute amigurumi toys, face embroidery, free knitting patterns, intermediate knitting patterns, kid toys, knitted toys, pig stuffed toys, small stuffed toy. Bookmark. I think I have done something wrong with row 4…. 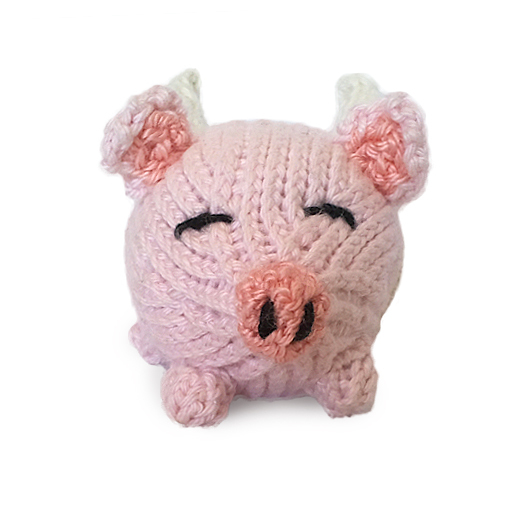 It takes a lot of r,ows to get to 39 stitches and at the moment the pig seems to long and not fat enough plus already about 2 inches and not on the decrease as yet…. Have I misunderstood? Hope you are well.. It’s been a while since I did this pattern, but I think you may have misunderstood the pattern. knit to the last stitch on the needle (notice it says needle and you are holding 3 double pointed needles 🙂 therefore it’s not until the end of the round.